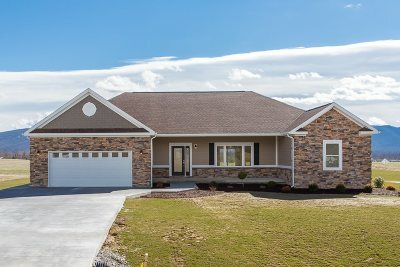 New Construction house located in McGaheysville's Newest community at The Ponds. This house has many great features that make it very attractive to most purchasers. Featuring one level living with large Master on the first floor, Large stamped concrete patio, open living area with kitchen, dining and great room, and two car garage. Floor plan features a 4th bedroom/office depending on your personal needs. New construction has many great selections to customize your very own home while it is being built, come make your selections before it is to late.